Stone Island Shadow Project – the sub-line of the Italian brand helmed by ACRONYM’s Errolson Hugh – never disappoint when it comes to pushing the boundaries of fabric composition and technology. Take, for instance, last season’s sell-out Scarabeo Down Jacket, with its dazzling multicoloured reflective shell. For Spring / Summer 2019, the brand goes in a more subtle, but no less impressive direction, playing with the concept of camouflage in different ways. The Lenticular Jacquard Bomber Jacket utilises a lightweight single-layer fabric that is custom-woven in Italy with contrasting coloured threads in the warp and weft, resulting in a three-dimensional, dynamic camo pattern that changes appearance depending on the light and angle. Given the brand’s utilitarian approach, it is no surprise that this fabric is also treated with water-repellency and an anti-drop agent for supreme wearability to go with its timeless silhouette. Once again utilising a custom-woven camouflage fabric, the Pullover DPM Chiné Jacket boasts a unique Shadow Project-designed DPM (Disruptive Pattern Material), a modern iteration of camouflage that is made to reflect bustling neon city streets rather than covert ops in a hostile environment. Equipped with stacked tunnel pockets for all your daily essentials and a toggle-adjustable hood, this is yet another modern classic from techwear genius Errolson Hugh. Rounding out the collection is a brace of t-shirts with the brand’s signature high-tech graphics and the distinctive geometric Catch Pocket to the chest, giving any of your techwear looks a finishing touch. It’s the perfect taster of what’s yet to come for the rest of the season; keep a lock on our social media channels for more as and when it drops. It’s barely over a week into 2019 and CP Company are already firing on all cylinders with their latest collection of urban sportswear. Boasting a plethora of details inspired by archival militaria from around the world (see: a lot of interesting pockets), the latest collection adds a futuristic utilitarian flair with asymmetrical detailing and technical fabrics galore. We took to the streets to show off some of our favourite bits from the first drop of the season. The soft shell Goggle Jacket is always a favourite; versatile enough to wear all year around, this season’s version comes in a fiery red shade that’s the ideal contrast to the rest of the collection’s navys and olives. We’re big fans of layering around this time of year, and CP Company always deliver the goods. Case in point: this classic nylon overshirt combined with an asymmetrical hoodie as an insulating layer. The contrast of lengths and fabrics really marks this as something special. Teamed with the amazing Lens Backpack and you’ve got a complete package that’s sure to tackle whatever the urban jungle can throw at you. It’s as strong of a start to the season as you could want, but we’ve no doubt that CP Company can keep up this momentum throughout 2019. Keep your eye on our social media channels for more news on the latest drops from CP Company and other top menswear brands. Spring 2018 marks London-based Albam Clothing’s tenth year of operation, and to celebrate they’ve not only delivered their usual seasonal crop of fantastic menswear, but a brace of special commemorative pieces using their archives as inspiration. 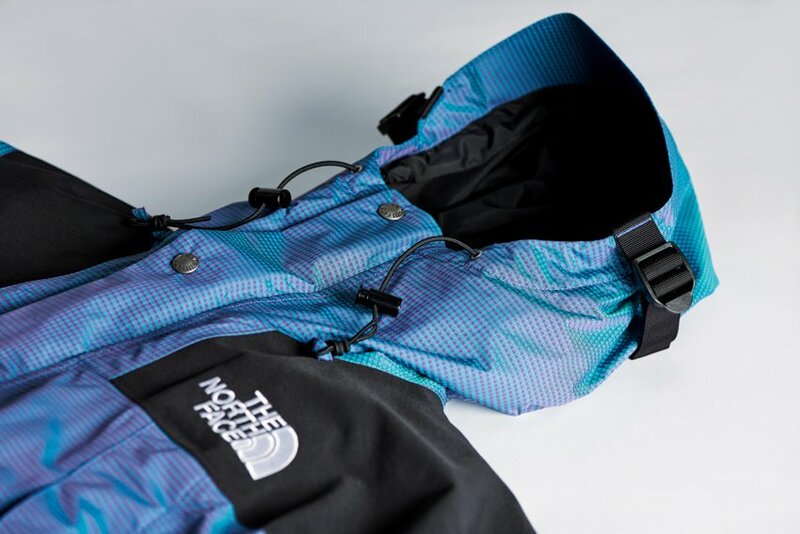 The highlight of the collection comes in the form of this bold, colour-blocked rendition of their classic Trail Parka, which was a sell-out hit on its original release back in the heady days of 2011. This update takes everything people loved about the original – simple lines, heavy duty fabric and hardware, all put together with top-notch European manufacturing – and adds high-contrast colour-blocking that’s inspired by vintage outdoor gear and 90s sportswear, giving the piece an eyecatching makeover that’s a welcome swerve from the brand’s usual muted colour palette. Not only does it look good, but, crafted from a naturally weather-resistant British cotton canvas, it’s also highly practical, the ideal companion for your weekends, whether you’re out on the hills or just going from pub to pub – just be ready for the influx of people asking where you got it from. The Albam Clothing Colour-Blocked Trail Parka is available in-store and online now from Aphrodite Clothing. When you hear the phrase ‘British heritage clothing’, chances are that a Barbour jacket would be one of the first things you’d think of: the brand’s reputation as an outdoor outfitter coupled with their timeless designs and traditional styling gives them an undeniable prestige. In more recent times, however, Barbour have been more willing to experiment with their archival designs, sometimes even handing over the reins to selected collaborators like Japan’s White Mountaineering. This season is no different, with the brand opting to remix their quintessential waxed jacket, the Bedale, in a whole host of different patterns and finishes. This handsome example sees the Bedale SL – the previously Japan-only slimmed-down version – made up in an archival camouflage pattern, giving it a country-meets-military vibe that somehow makes perfect sense. Still using the brand’s signature waxed cotton fabrics and boasting a contrasting corduroy collar, this is sure to wear in beautifully, making it a perfect investment piece. The Barbour SL Bedale Jacket in Archive Camo is available instore and online now at Aphrodite Clothing.